Being attractive is not only about a good facial makeup…it includes lot more. You need to present yourself in a proper way so that it exhibits grace, sophistication and elegance at its best. Nail art is a growing trend in modern age that is considered as a part of self beautification. Clean, well manicured nails are not only admirable but also speak a lot about your personality. If you do not have strong natural nails and suffer from breakage problem, nothing to worry about. With a wide array of artificial nails making it big in the market of globalization, you are sure to be spoilt with choices to decide from. To help you make the selection process smoother and easier, here we have provided with the names of some of the best artificial nails available in India. Go glam and trendy with this artificial nails that syncs with the occasion and fashion aptly. For both hand and toe nails, Nirus is a brand that offers excellent designs and nail arts to try out. From cute nail art designs to bold ones, you will get to find a completely mesmerizing collection from this brand. Every pack of artificial nails from Nirus comes with 2 sets of 12 pieces of nails (i.e. 24 pieces in total), nail glue, a filer and plastic pusher. Extremely soft and flexible in its make, the fake nails from Nailene is provided with an adhesive that hold it rightly to your fingertips. The natural look with specially treated coating of gel shine makes it a perfect choice for regular usage. A pack of Nailene artificial nail comprise of 24 nails (12 pieces in two different sizes) which are already glued for instant application. For easy and simple application process, the artificial nail set from Fing’rs is one of the best to opt for, especially among teenagers and college goers. Its feminine designs and rhinestone charms makes an additional touch of fashion that is attractive without doubt. 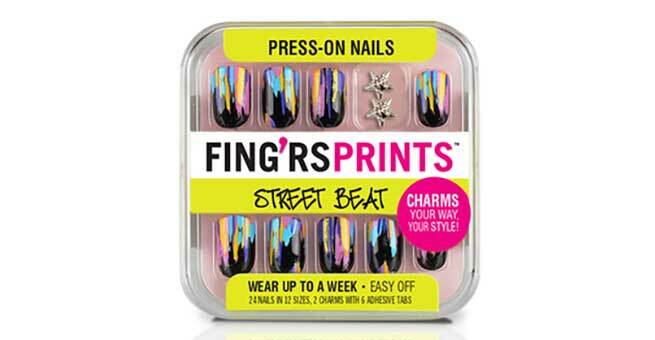 Every nail set from Fing’rs has an innovative and individualistic design that makes you the trendsetter. 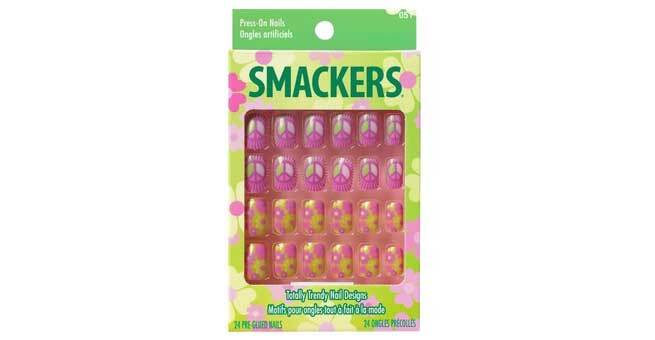 Go trendy with fake nails from Lip Smackers that are meant to fit perfectly in your nails. It’s absolutely not messy and is without any glue, thus making it easy to put on and remove. 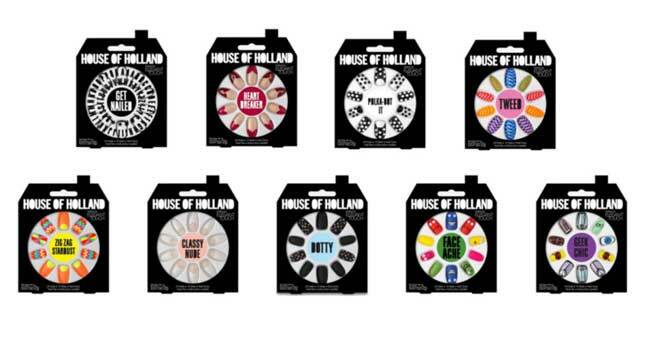 If fun and fashion is on your mind, then the artificial nails from House of Holland are at your help. It exhibits playful designs that bring out your fun loving personality with a special touch of elegance and sophistication. Go crazy with the bright colorful nails from House of Holland and be the head turner without doubt. 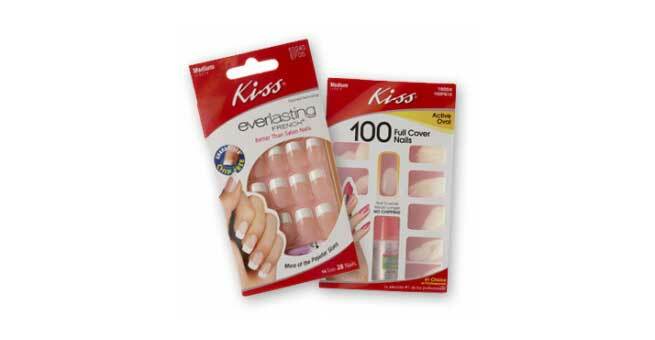 From glitters to shine, you will get all types of artificial nails from this brand of Kiss. Go girly with long bold nails or opt for French manicure artificial nails to flaunt in style. Long lasting, easy to use, chip and breakage free, Kiss has various 3D nails also that are created with extra care and high end finish. 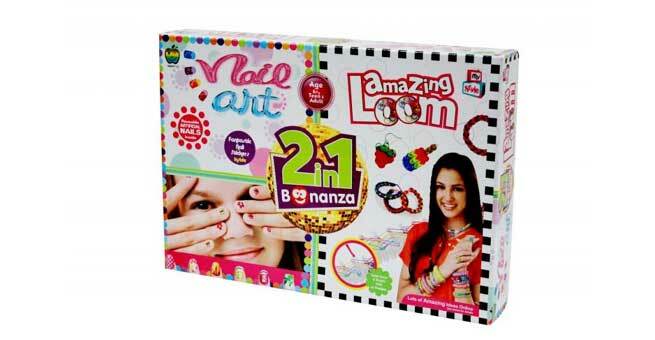 Nail art goes fun for kids above 5 years… Apple Fun Nail Art brings some exciting artificial nail sets to give you a taste of trendy fashion, without any harmful side effect. This pack comprises of reusable fake nails with multiple design stickers.